If Betty Hart and Todd Risley aren’t household names now, they should be. These two doctors published research in 1996 that has immense value for every parent and every child in the country. While studying groups of four-year-olds, these doctors observed that some children were already advanced and some were very far behind. They looked for a reason that would explain these differences. They divided families into three socioeconomic groups: welfare, working class, and professional. They began collecting data when the children were seven months old, visiting study participants for a total of 1300 hours. What were they measuring? They were measuring and categorizing every word said in front of each child. All the participating parents demonstrated love and care for their families; the basic instincts of good parenting held true across all demographics, so that was not the issue. The difference was the words. According to Hart and Risley’s research, on average, by four years of age, children from professional families will have heard 45 million words, working-class children 26 million, and welfare children only 13 million. When children show up for kindergarten, it’s not the price of their toys or their family’s economic status that makes a difference in their abilities and confidence in school. It is how many words they have already learned. And some children will have heard 32 million fewer words than others. The most obvious difficulty this can cause is that it can be hard for students to learn if their teachers are using words they just don’t know. But the children’s language experience did not differ just in terms of the number and quality of words heard. The study also measured encouraging words versus prohibitions or negative statements. The differences were staggering. The average child in a professional family would have heard 560,000 more instances of encouraging words than discouraging feedback. A child in a working-class family would have accumulated 100,000 more encouragements than discouragements. But an average child in a welfare family would have received 125,000 more instances of negative feedback than encouragement. Think of the implications of this for children’s self-worth, self-esteem, and belief in their future possibilities. Each child’s educational development begins in the home at birth, not when they begin attending public school. 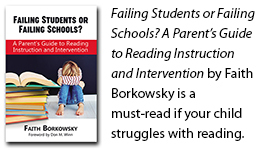 Documentation abundantly and overwhelmingly shows that parents spend less time than ever with their children, especially time spent reading together and discussing what they have read. Reading with your kids and talking with them is a great way to give them words, including encouraging words. If you feel like your own vocabulary is limited, books are a wonderful source of new words. Even hearing a word once can make it easier for a child to learn that word again in the future. The research described in this paper is not intended to insult or offend people of any socioeconomic status. Rather, the conclusions are clear: you don’t need any special qualifications to talk with a child and read to them. Start now. Every moment counts. Hey Don, great article! Always thought that if I talked endlessly, it would wise my grand kids up! (LOL). Seriously though, a rich vocabulary is one metric for a high IQ.